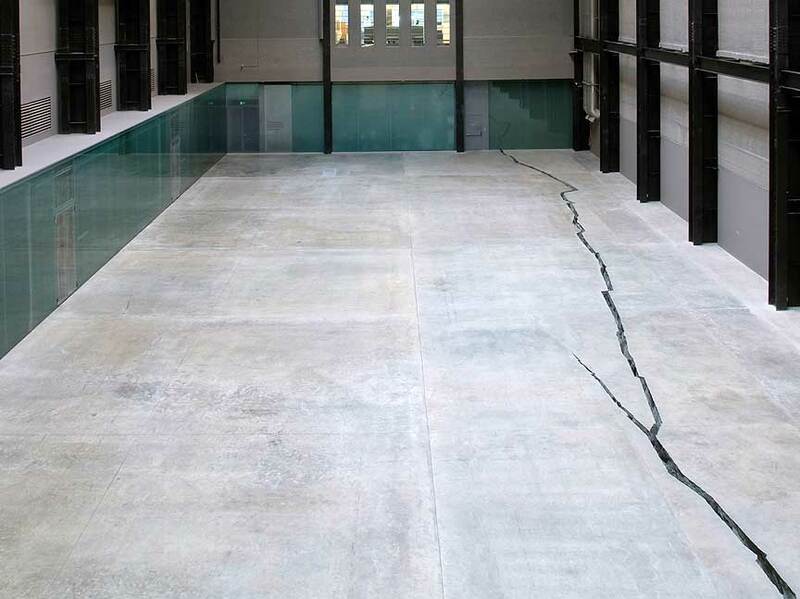 Poor Doris Salcedo. Like the injustice of a serious musician permeating the public consciousness for the appearance of just one of their songs on a car advert, Doris is a household name mainly as a result of her Turbine Hall installation Shibboleth ’07. 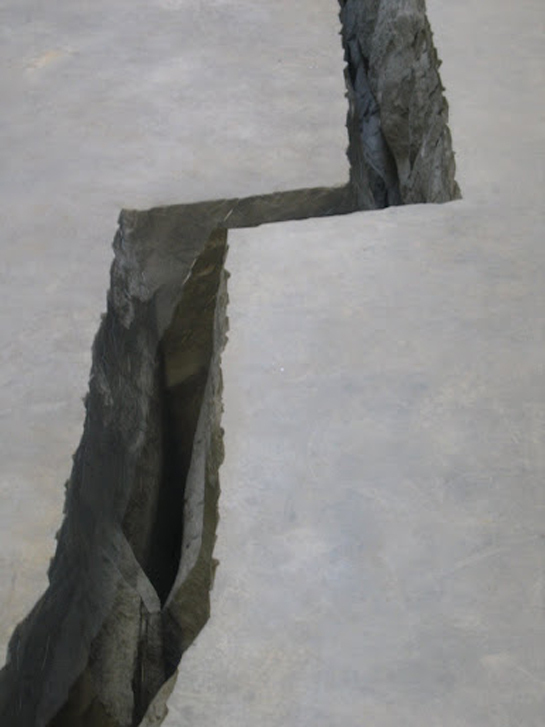 Not that the installation was commercial or of less quality than her other works, but recently someone actually referred her to me as ‘that crack woman’. I think Doris deserves more. Her name should be bigger than it currently is outside of the artistic inner sanctum that is the world of collectors and academicians. But I get the impression that Doris isn’t much of a self-publicist, likely more through choice than inability. Her work portrays a character at the opposite end of the spectrum to the Hirsts and Emins and even Picassos of this world. 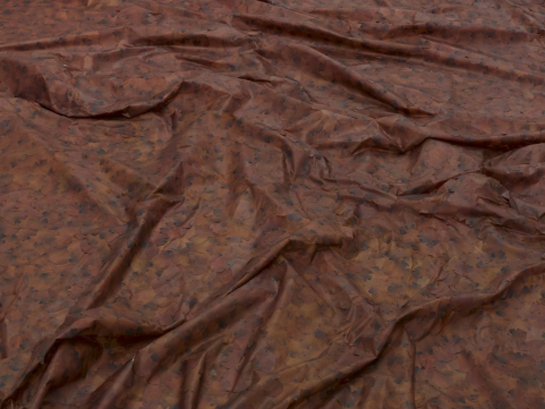 As can be fairly easily gleaned even from this small extract, Doris Salcedo’s work deals with life, death and the politics in between. Unlike someone like Damien Hirst, however, her message is understated. The power is in the restraint. Dignity and strength of mind deal with mortality, not through morbid curiosity but with a quiet despair and grim anger. Less is more here. Approaching that wonderfully compact and minimal White Cube outpost, hidden away down an alley in Mason’s Yard, I was intrigued to see what Salcedo had created next. The first piece on the ground floor, A Flor de Piel ’11-12 surprised me straight off. Having seen detail photographs of the work in reviews and such like, I had somehow imagined it as a wall hanging when zoomed out. I’m glad it wasn’t. 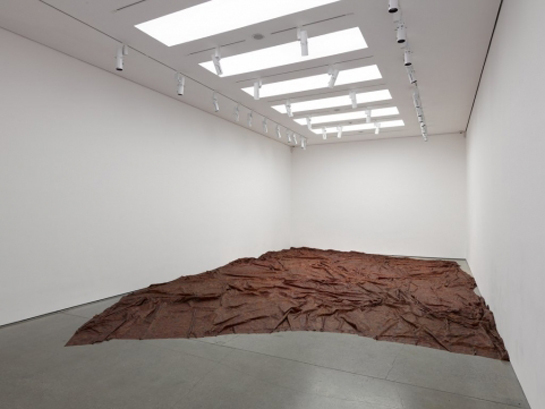 The piece is intended to give the impression of a giant shroud and consists of thousands of Rose petals, waxed and carefully stitched together to create an undulating mass covering 2/3 of the floor in the ground floor gallery. On passing through the doorway and seeing this, my first thought was actually not of a shroud but of a landscape, mountainous and vast. 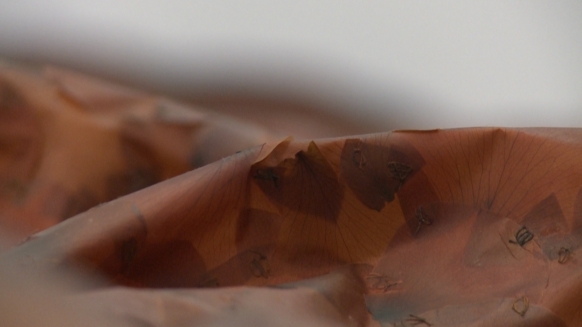 The wax used to preserve the petals gives the material a leather-like appearance in texture; when bunched and folded this works with the variations in colour and tone to create a scene resembling a bird’s eye view not dissimilar to that of South American desert regions. This may not have been the intention of Salcedo, but I liked her interpretation too; the death shroud created through careful manipulation of the fragility of life, to speak for those whose lives were also carefully manipulated, although without the care which went into this work (Salcedo took inspiration from the concept of offering flowers to a victim of torture). It has a certain poetic irony to it. The lower ground floor housed her newest work, Plegaria Muda and was an altogether appropriate place to situate it. I wasn’t immediately sure what to make of the numerous tables laid out one on top of another, but I was struck by the aesthetic uniformity of the upstanding tables, which put me in mind of large dead insects with their legs reaching in vain to the heavens. 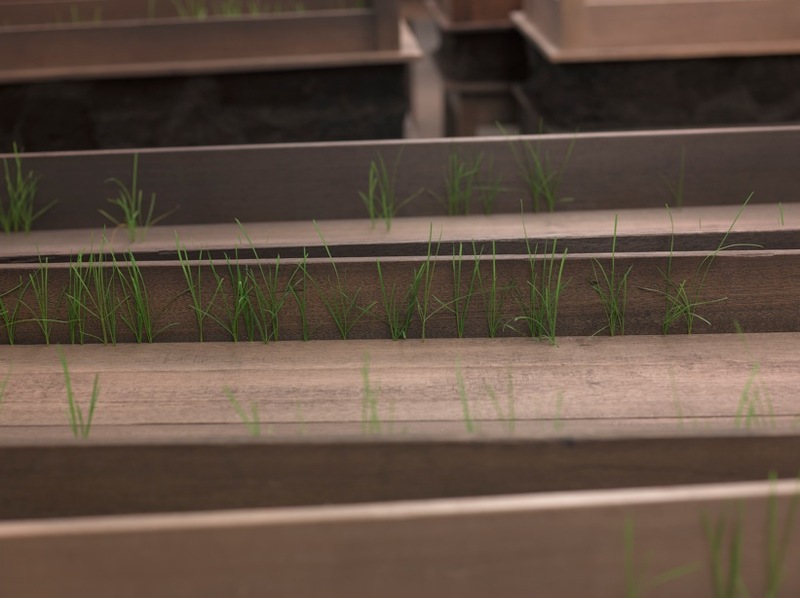 On closer inspection I saw flashes of green protruding from the underside of the top table and as my eyes scanned downwards, discovered a layer of carefully placed soil in between the upright top table and the bottom one standing. 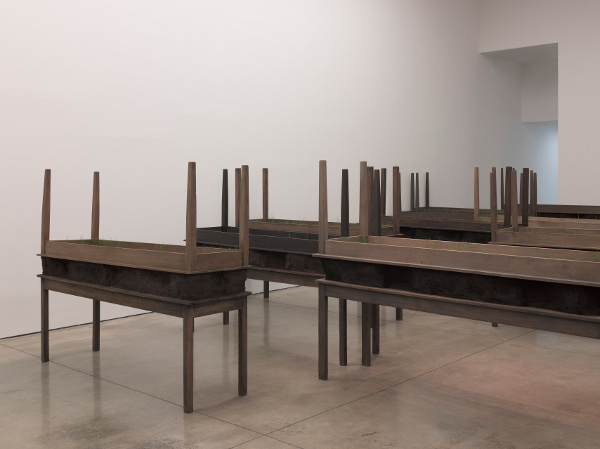 The connection with burial and coffins was immediately clear (the work is an homage to Colombian victims of army-sanctioned mass murder) but the overwhelming message portrayed through this installation is of the triumph of life over death. Salcedo seems to be making a fierce statement – you can kill and maim us, break our families and communities in the name of unjust wars, but out spirit will live on through them and others we connect with; we will not be forgotten. The exhibition is on until 30th June so hurry yourself down to Mason’s Yard. Don’t miss this.